Peer account is an alias for its parent user, reseller or serveradmin account. 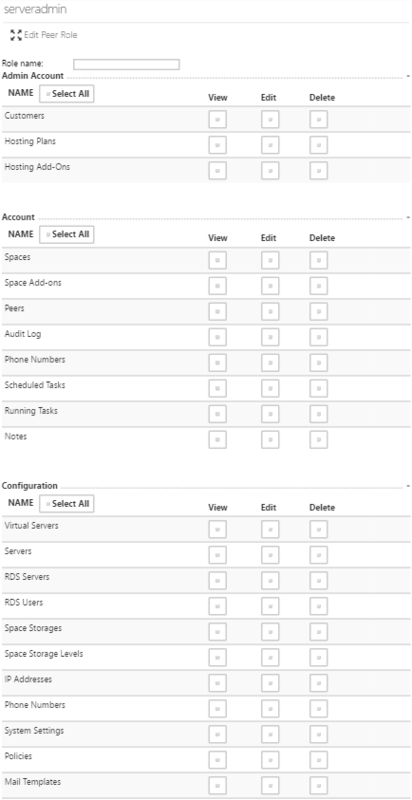 Peer accounts are helpful, for example, when there is a need for several administrators to manage hosting spaces in the same hosting account. Type Role name, choose required set of rights and click Add button. To see the list of user peer accounts click Account > Peers. 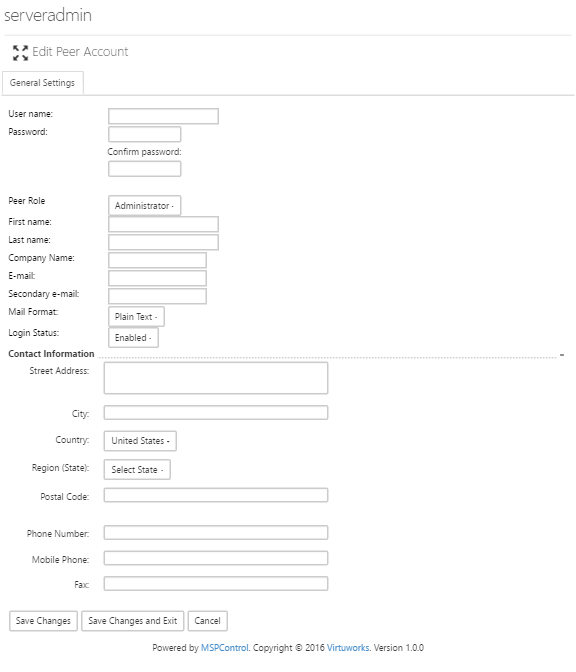 Fill form fields, choose Peer Role and click Save Changes ad Exit to create peer account and return to peer account list.